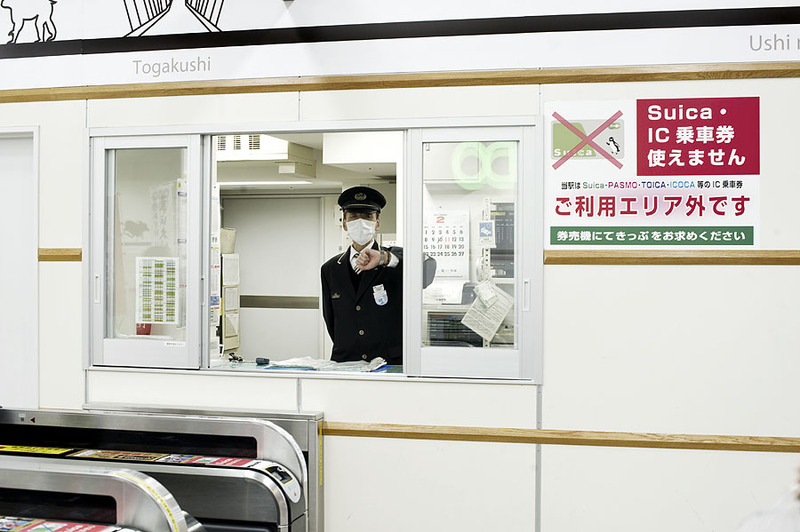 After spending a sleepless night in a hotel situated in the middle of Kabukicho´s red light district in Shinjuku we headed for the busy Tokyo Station. Sleep-deprived, we pulled our ski bags through a constant stream of people trying to read the signs written mostly in Japanese. In the end we managed to find the right desk and get our Japan rail passes stamped. Relieved, we boarded the train and witnessed the landscape change during the 100 minute train journey from green pastures to mountainous Snow Country, before reaching the 1998 Winter Olympic city of Nagano where we changed trains. We were heading to Myoko, a resort situated in the Niigata prefecture, some 270 km north-east of Tokyo and 45 km north of Nagano. Today you can travel to the resort from either city using the famous Shinkansen bullet train, which reached the area in 2015. We arrived in Akakura Onsen on a snow blizzard. 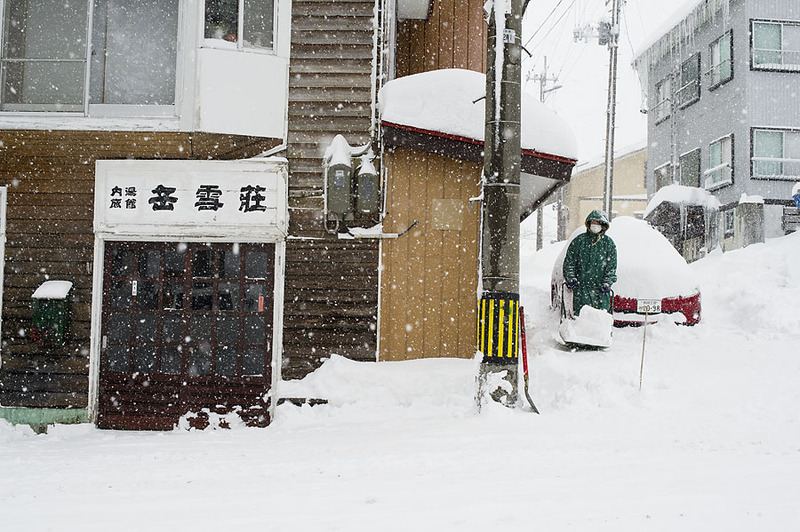 The streets were lined up with high snow banks and the neon signs in Japanese advertising the local restaurants. 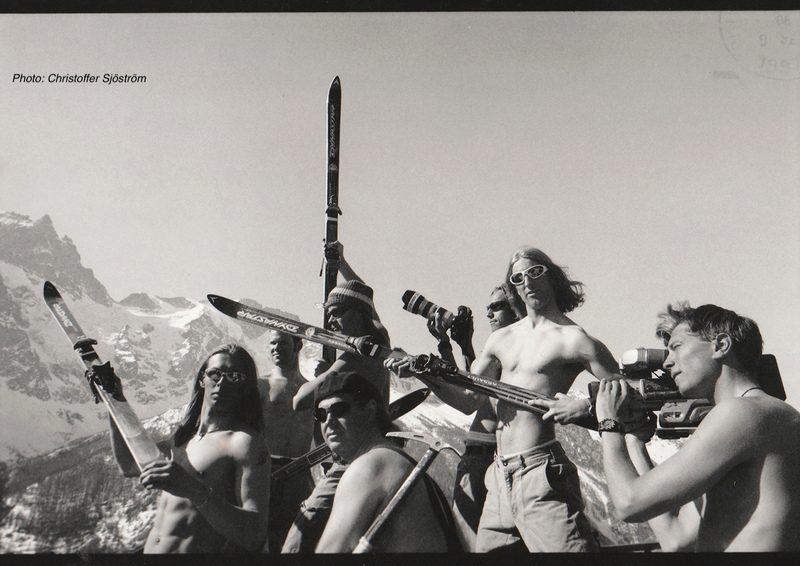 This was classic Japanese ski imagery portrayed in ski magazines around the world. No need to go to the gym in the winter. Upon our arrival at the Red Warehouse guesthouse, we are greeted by Nic Klar and his family. Klar, originally from Australia married a Myoko born and raised Mami, whom he met on the local ski hill in the mid 90 ́s. They have been running the family-oriented Red Warehouse for two years now. Besides the guesthouse, Klar keeps himself busy running the most popular English website covering the area, called Destination Myokokogen. In the 2015/16 season the snow depth in the parking lot surpassed 4 meters. Through his work for the website, which he started in 2003 Klar has had a front row seat in watching the number of international tourists in the area develop. The foreign ski boom in Australia during the late 2000 ́s was first visible in the resorts of the island of Hokkaido, particularly Niseko. Soon people started to look for information on other ski areas in Japan, and because of Klar ́s Destination Myokokogen was one of the only ones providing information in English, Myoko started to attract foreign visitors. Despite the rising popularity, it was still far from being crowded according to Klar: “When I was skiing 10 years ago and I saw a foreigner I went over and said hi. 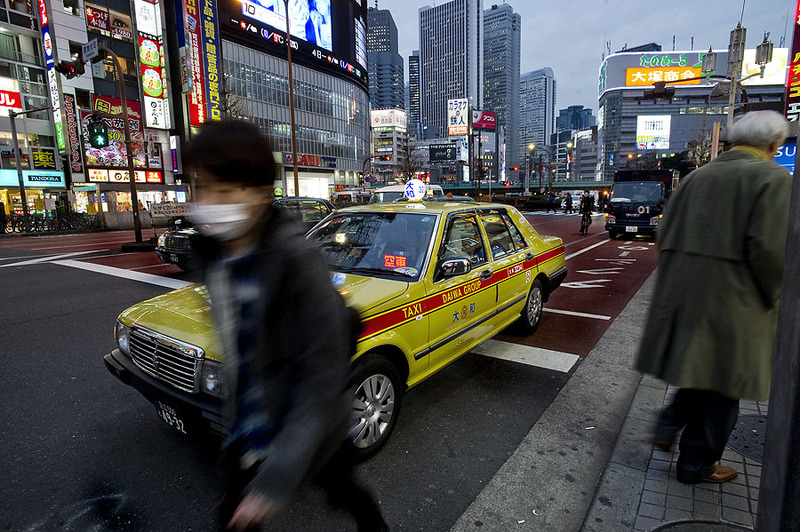 And probably the foreigner was an English teacher or an expat.” Today foreigners, especially Australians and Scandinavians, are a clearly visible segment on the streets of Myoko. 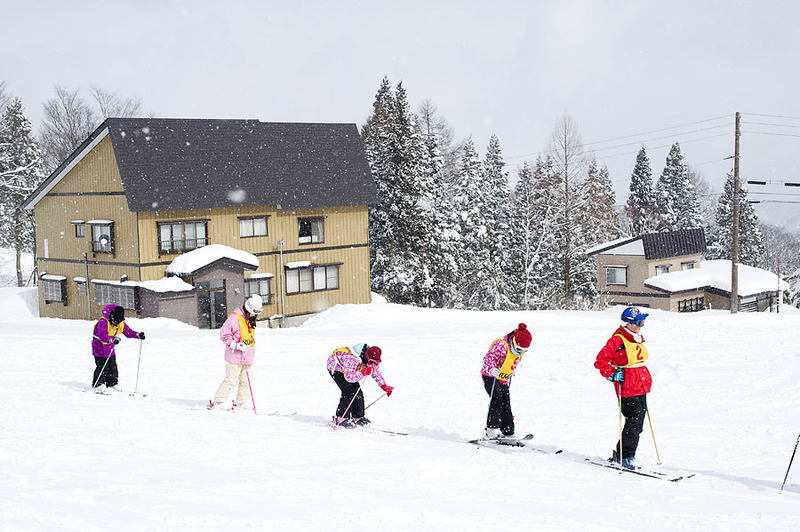 The local tourist board markets Myoko as a family-oriented resort, as they are keen to avoid side effects caused by drunken behavior of certain foreign visitor segments. Hakuba for example now has a foreign crimes unit to deal with the phenomena and for the same reason Niseko has a resident Australian police officer. 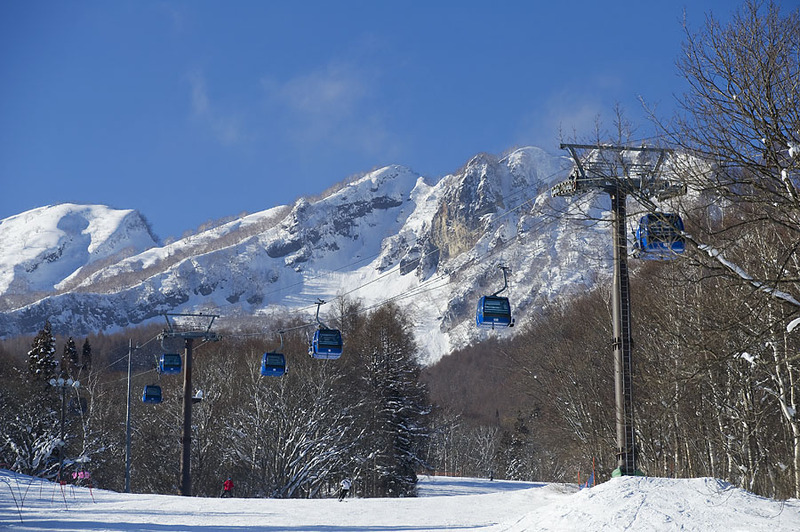 Myoko ski area comprises of five small privately owned ski resorts situated under the towering peak of the 2 454 m high Mount Myoko – an active volcano. Unlike Europe, where a lift ticket might connect ski resorts in several different valleys, you have to buy a separate ticket for each area, with the joint ticket option for Akakura Kanko and Akakura Onsen being the exception. The next day our plan is to ski the Akakura Onsen, which is the oldest ski resort in Myoko having established itself as an international ski resort already in the 1930´s. It had already been operating as an Onsen or hot spring resort since 1816. 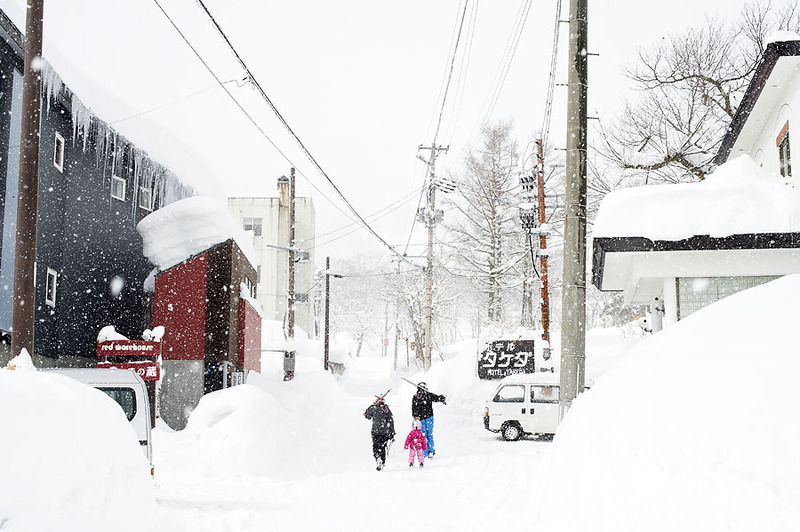 Akakura Onsen has a very central location: on good snow, you could just continue skiing after the slopes end – straight into the busy streets of Akakura, which is considered the centre of Myoko. Where did number 6 go? Happy faces at Akakura Onsen. Once at the ski area base we take the Yodel no1 triple chair lift. The slope winding down at our left hand side, named Elegant marks the ski area boundary with the neighboring Akakura Kanko ski resort. Akakura Kanko or Shinakakura – the new Akakura followed the development of Akakura Onsen´s ski area by building Japan ́s first luxury mountain hotel in 1937, and later the ski area around it. The hotel remains a landmark and Akakura Kanko boasts some of the best freeride terrain in Myoko. But unless you have bought the joint Myoko Akakura Snow area ticket you´ll have to be careful not to cross the ski area boundary. Since most of it´s runs aren´t very steep Akakura Onsen has a reputation for being well-suited to families, beginners and intermediates. 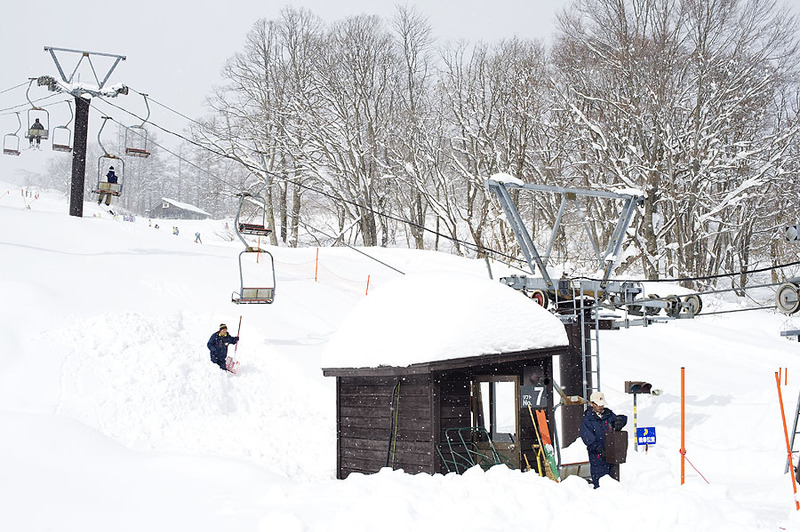 It is also the only ski area in Myoko offering night skiing and has a terrain park for the more freestyle-oriented. There are steeper runs as well though, head for the skier´s left from the Yodel Dai-5 triple lift and you end up in Maryama, or the wall – a mogul run with a reported 38 degrees steepness. Like in most of the resorts in Myoko, the steeper runs are accessed with the top lifts, while the lower runs are mostly easy. Instead of “the wall”, we head for the skier´s right and follow the ridgeline overlooking the now almost abandoned Tsubame Onsen village, which looks like an ethereal James Bond hideout. It´s been a couple of days since the snow fall, but we can still find stashes of good snow from the trees just next to the slope. Following the ridgeline we pass an older Japanese couple wearing matching Descente outfits, enjoying their powder skiing in the trees before we cut back to the slope ending up at the Kumado Dai chair lifts. Shovelling the deck at Akakura Onsen. The area is marked in some trail maps as Kumado Gelande, while the Yodel lifts were in the Yodel Gelande. The reason for this dates back to the post-war period when the first ski lifts were built here and the emerging ski tourism was seen as a lucrative investment. Rival ski stations were soon built right next to each other. So before there was Akakura Onsen for example, there were Yodel, Kumado and Ginrei ski resorts. We stop for lunch in a cafeteria at the Ginrei Gelande. It is a typical Japanese ski lunch, where you first buy a ticket either from a cashier or a vending machine and then, after perhaps some queuing, you will get your meal at the canteen. Most slope-side restaurants serve typically Ramen, Udon or Soba noodles, Japanese-style curries and Japanese versions of more western style dishes. Finishing my meal, I slurp the udon noodles, as is customary in Japan and drink the hearty broth. The cafeteria is half-empty and the customers are mostly Japanese school kids. Akakura Onsen has a down-to-earth feel to it, reminding me of the times when I started skiing in the 1980´s, when skiing was still less about the amenities and more about simply skiing. The all singles lift line. The following day, we meet Shinya, one of the owners and guides of Itadaki Tours on the sunny Suginohara parking lot. 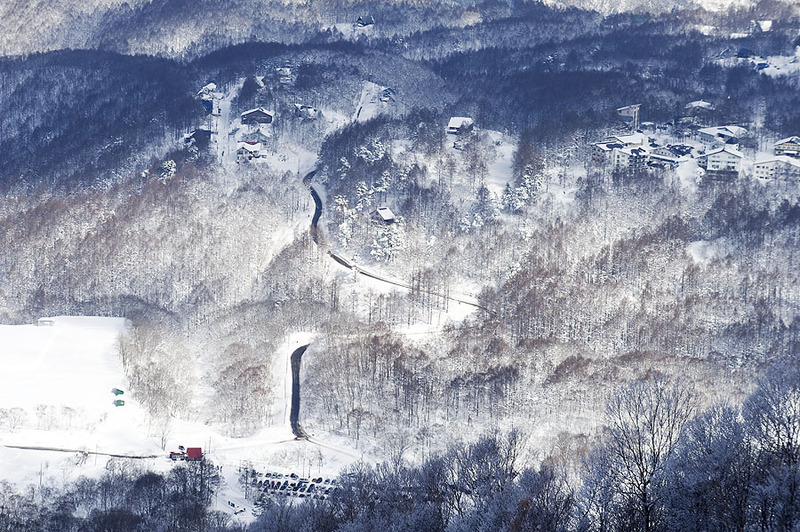 Suginohara is the southern-most ski area in the roughly north-south running string of pearls of the Myoko ski resorts. It ́s also the highest with the top lift elevation of 1800 m and the ski area promotes it ́s vertical of 1124 m as the second biggest in Japan. 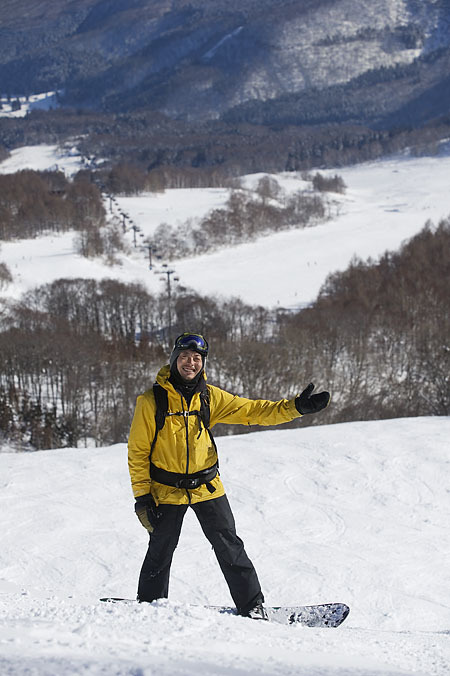 Shinya grew up in Myoko and has been riding these hills for more than 20 years. When we get to the top we follow him as he fluidly navigates his way through bushes and branches that on a normal snow year would all be covered by snow. The Suginohara gondola with a view of some of the side country area. Shinya on his home turf. As we continue the run Shinya makes his way through the forest, finding small curves and mini half-pipes along the way. The run is not very steep and there ́s fresh snow up to the ski boots, so we are descending pretty fast. The skiing is fun and playful and it reminds me of the skiing I did with my friends in the forests of my home resort when I was younger. Later on, as we stop for a break on a sunny glade and Shinya offers me fresh coffee from his thermos, it ́s difficult not to smile. After the ski day we enter a small and crowded restaurant called Asagao. 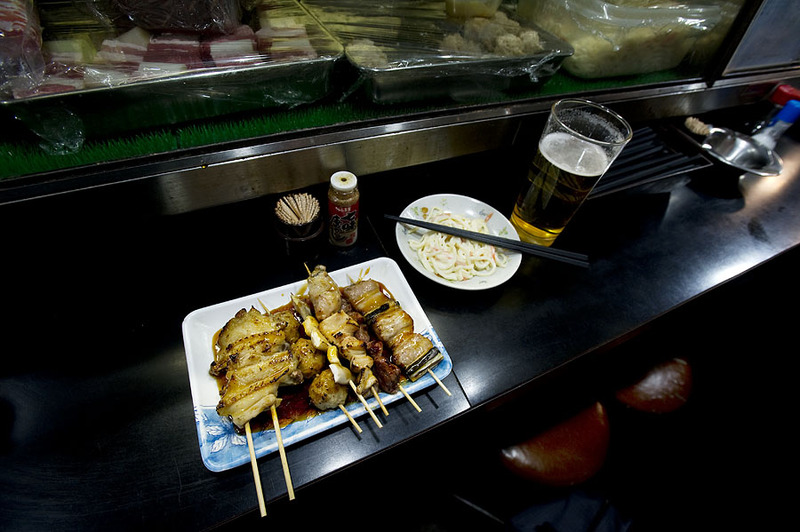 One of Shinya ́s local favorites, the restaurant specializes in Yakitori, which according to Shinya is Japanese soul food. We somehow manage to find empty stools at the bar, which gives us front row seats to watch the cooks in action preparing the dishes in a traditional way on the charcoal grill. While waiting our dishes we order a glass of Umeshu, a Japanese plum wine with a subtle taste. I order fatty pork, liver and heart and really like all of them – a perfect barbeque dish to end up a good day of skiing in the Snow country. A day pass costs between 3500 and 4500 yens for adults, depending on the resort. Madarao ski resort situated some 20 km southeast of Myoko, on the border of Niigata and Nagano has embraced off-piste skiing and snowboarding more than many other resorts in Japan. The resort has cut down trees to create special tree skiing areas. These areas carry names like Crystal Bowl and Powder Wave. Views of the surrounding forests – Mt. Madarao. Although the 440 vertical meters of the resort doesn ́t sound like much some of the runs are steep and the trees are perfectly spaced for fast powder skiing. With 60% of the runs ungroomed there is plenty of good riding if you happen to be there after a storm – especially if you buy the joint ticket with the neighboring Tangram Ski Circus. And on a good day the panoramic view from the top is magnificent. 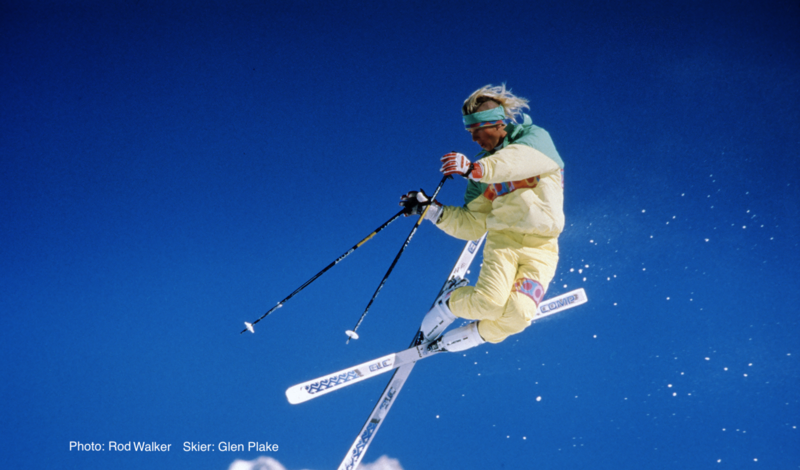 1 day ski pass costs 4500 yens for adults and 1500 yens for children under 12 years old. Great article Jaakko. Thanks for coming! 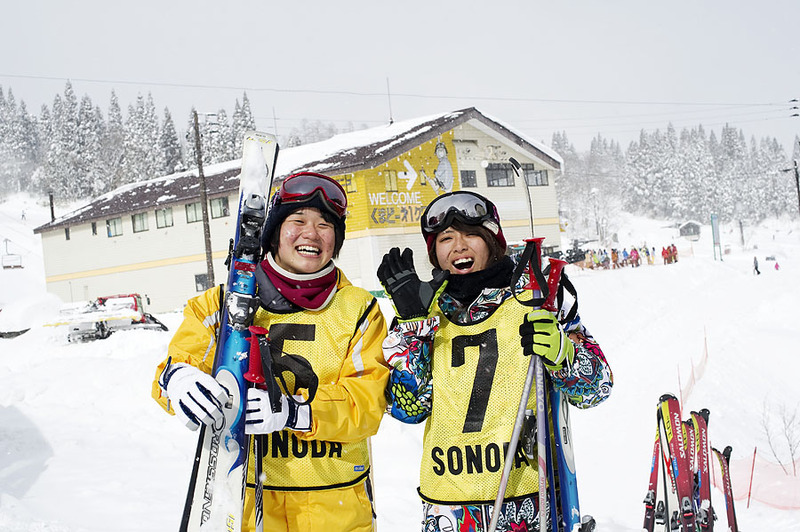 Hope to see you and Juha back another season when we have a lot more of the usual Myoko pow. Thanks Nic! We really enjoyed our visit. 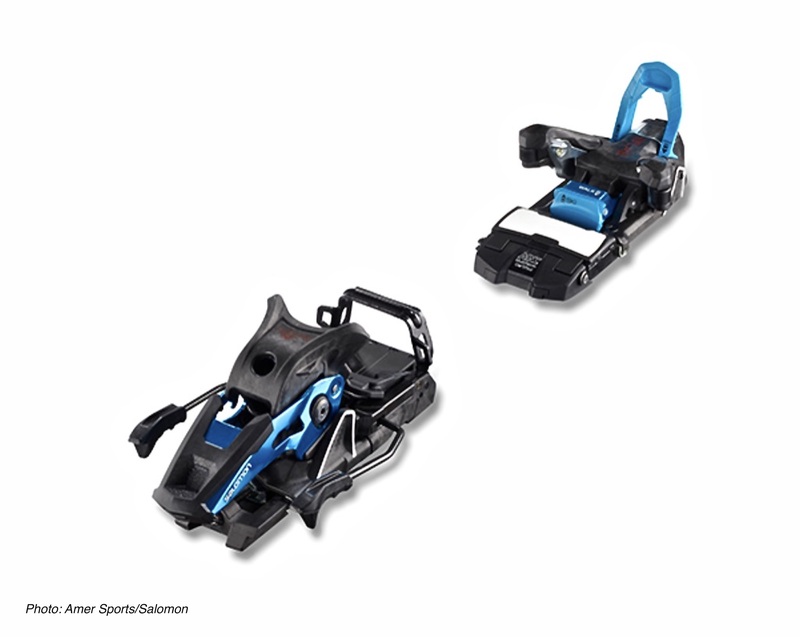 I hope that you will get plenty of powder this season – would definitely like to come back.